Sylvia’s love of yoga and dedication to her practice, studies and students is apparent in her classes. Her attention to detail in the language she uses and her thoughtful sequencing encourages students to be mindful in body and breath. The goal is to focus attention; the result is a deep sense of lasting calm and a physical practice that is both safe and challenging. Weak spots become stronger; areas of tension and tightness soften. She guides each student to focus their awareness deeply on aspects relevant to them, at that moment, always seeking balanced effort. Sylvia is a regular teacher with the Yoga Hub Teacher Training Team, enthused by a love of learning she has a passion for encouraging others to grow and develop. 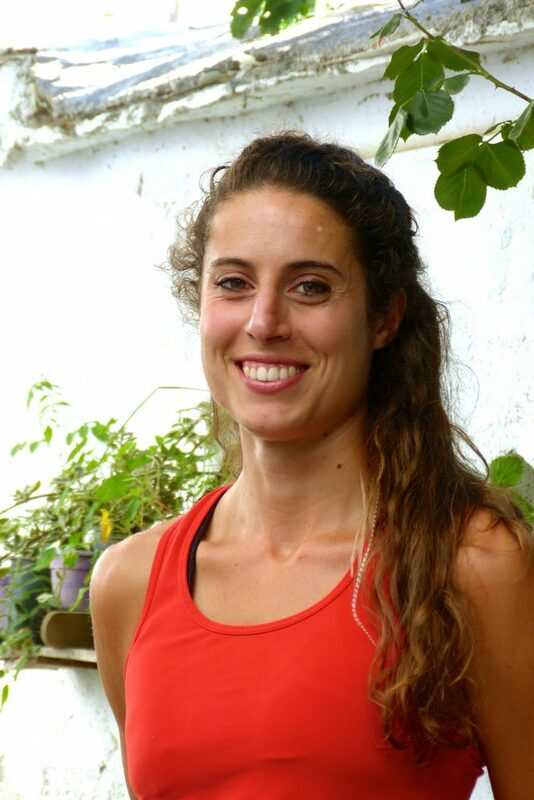 Sylvia is a DCU and Yoga Therapy Ireland graduate, she teachers yoga and meditation in Dublin and internationally. Nationwide featured Sylvia as a teacher that ‘exudes the calmness she aims to instil in her students’. Nico Luce has been practicing and teaching yoga for over a decade and has trained in various lineages such as Power Vinyasa, Ashtanga, Anusara, Yin and Pilates. He is also a devoted student of eastern philosophy and spirituality which he weaves into the physical practice to create a profound transformational experience. Bringing meaning to the practice and attention to refined bio-mechanics are at the heart of his teachings. Nico and his family live in Switzerland from where he travels internationally teaching workshops, retreats and Teacher Trainings and regularly produce instructional videos for GAIAM TV/My Yoga. Guylaine’s interest in yoga began in high school at the age of 16. Among her first teachers in meditation and yoga were Shirley MacLaine and Erich Schiffmann. In 1998, she began studying at The Yoga Sanctuary downtown Toronto, Ontario. It was there that she fell in love with Ashtanga yoga under the guidance of her teachers Jonathan Austman and Michael Stone. In 2000, she completed her first (of dozens) Yoga Teacher Training that delved deep into the eight limbs of Ashtanga yoga. 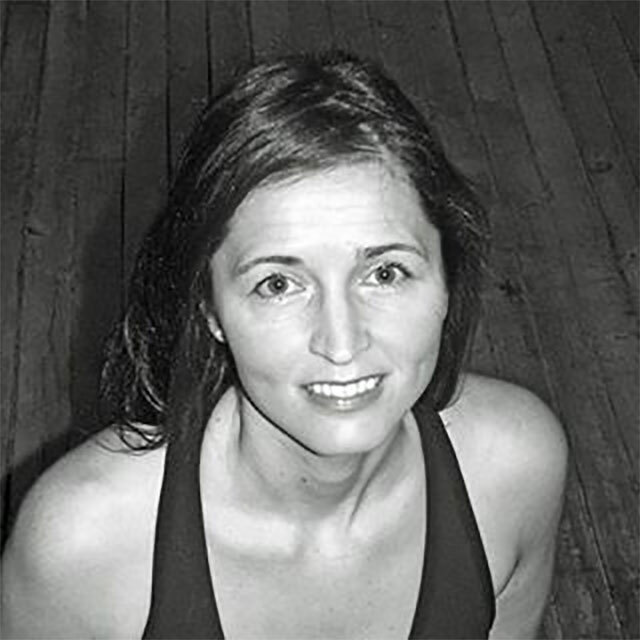 In 2002, she returned to Halifax Nova Scotia and immediately began teaching Yoga Asana. Instantly she became one of the most sought after yoga instructors with a dedicated student body that has continued to follow her for the last 18 years-mainly due to her obvious love and dedication to the practice and the lineage from which it comes. As well as this, she’s known for her intuitive assists, her open heart and off-beat sense of humour. She’s now considered a master teacher in The Maritimes, Canada. She was the first to introduce post natal, kids and hot yoga to Halifax. She has been consistently studying with some of the greatest senior yoga teachers and has been fortunate to be a host to many of them in Halifax, NS. She was the first to welcome Tim Miller, Kathryn Bruno-Young, David Swenson and Krishna Das to Halifax. Others include Darby, Hart Lazer, Jonathan’s Austman and her mentor and friend of 20 years Michael Stone. She’s studied intensively for months in California with Tim Miller and Rich McGowan as well as in Mysore, India with Sharath Jois. She’s certified in the 1st and 2nd series of Ashtanga, Pre and Post Natal, Yin, Kids and Trauma-informed Yoga. Finally, Guylaine has been mostly guided by the work of the late Michael Stone and her teaching and practice are mostly a continuation of that knowledge. She’s studied the psychology of yoga, mindfulness meditation, ethical precepts, vipassana, the essence of yoga, pranayama, trauma-informed yoga, the new-wave of yoga, yoga philosophy and Hatha-vinyasa all under the mentorship of Michael Stone. Unfortunately, Michael passed before she was able to complete his request for her to officially become one of his mentees. Guylaine believes passionately in community and through it and a meditation and yoga practice, believes much healing can occur. She is dedicated to helping her students learn the tools they need to become independent. For the last decade, she’s been offering yoga classes by donation as she has a strong belief that Yoga needs to be accessible. “You can’t heal all by yourself. You know colter did anyone heal all by himself. or herself We cannot do this alone.” Michael Stone. 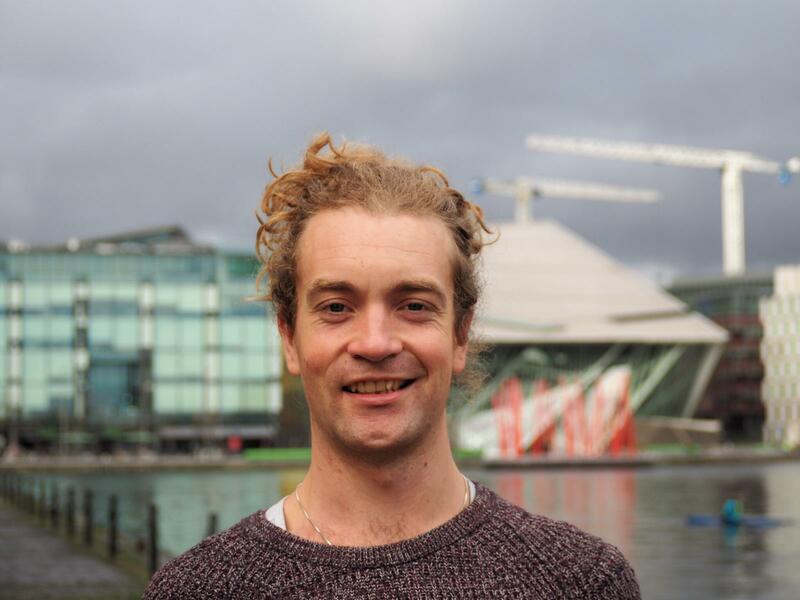 Brian is a yoga and breathwork teacher based in Dublin. Brian undertook his teacher training in Goa, India, studying extensively the lineages of Hatha, Vinyasa, Ashtanga, Iyengar and Therapeutic yoga. His yoga classes are breath focused and based on alignment and conscious movement, while also encouraging students to intuitively explore the uniqueness of their own bodies and practice. He also teaches breathwork classes, where the focus is on developing a deeper relationship to the breath and connecting to its natural power as a tool for healing, transformation and relaxation. Brian believes that by consciously and compassionately connecting with the body and breath, they can begin to act as an anchor into the present, creating greater clarity and awareness, and allowing access to a simpler flow of life. 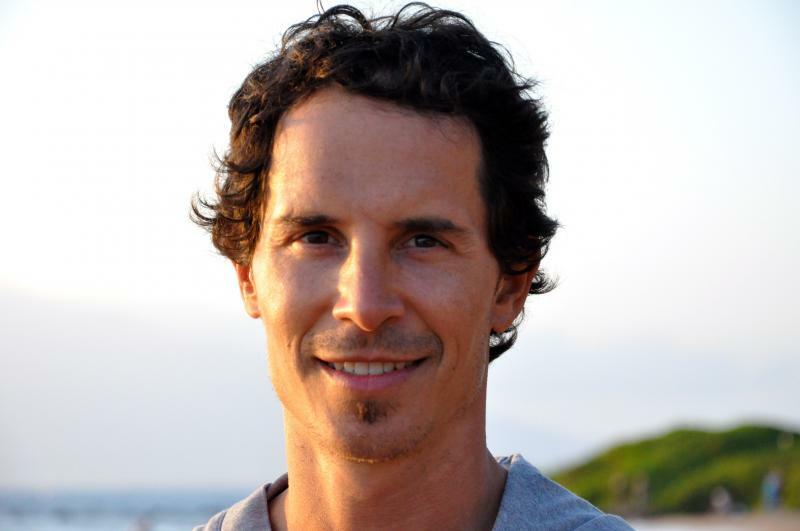 International yoga teacher Kevin Boyle is accredited with 600 hours of professional development under Yoga Alliance. Kevin practices a modern and progressive style of yoga, heavily influenced by Bryce Yoga School, where he completed his advanced teacher training. Kevin takes a non-dogmatic approach to teaching and enjoys sharing his practice in a fun and creative way. 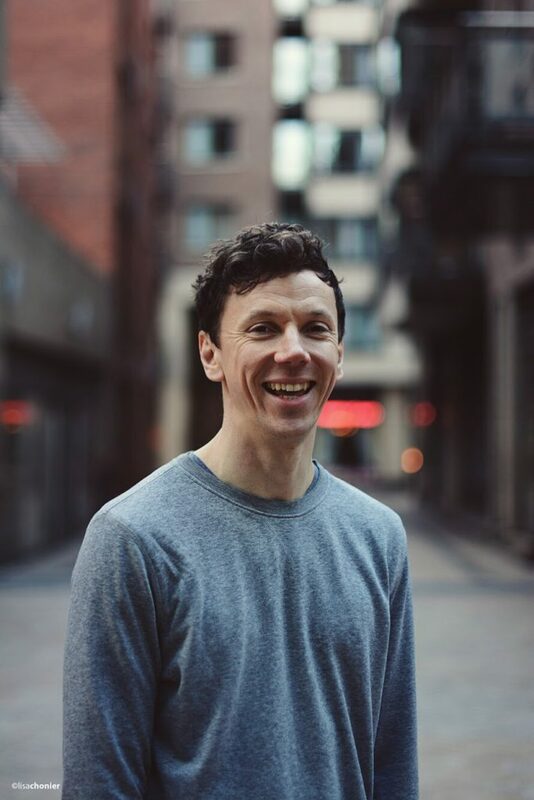 Off the mat, Kevin produces and hosts The Yoga Life Podcast, where he chats to fellow yogis about teaching, practicing and living a yogic lifestyle. Coming from a family of athletes, Giulia has been exposed to sport and movement since a very young age. Trading as Giuliacroyoga, Giulia has been practicing yoga and acroyoga since 2014, when she immediately fell in love with the playfulness of acroyoga and the mindfulness of yoga. Her passion and dedication made her travel the world, exploring different styles and completing two acroyoga teacher trainings and becoming a 500hrs RYT in late 2018. Completing most of her studies in India where she goes back to every year since 2016, yoga is for Giulia a true lifestyle, that allows to unlock one’s potential as well as a way of being that truly goes beyond the asana practice. 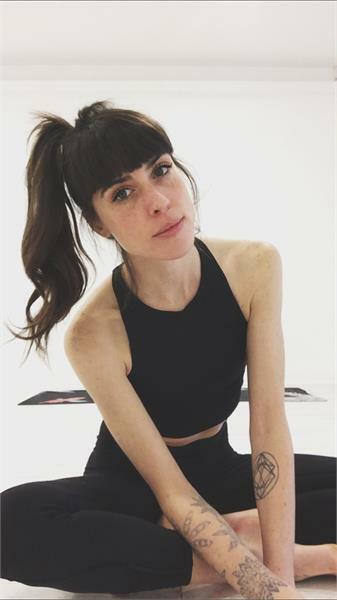 Certified and trained in Vinyasa, Ashtanga, Aerial, Hatha, Yin and AcroYoga, Giulia mostly teaches dynamic styles, that range from flow to acroyoga. Her classes offer a good balance between challenge and softness, a particular attention on alignment and surely a good dose of sweat. During her extensive travels in India, South-East Asia, Pacific and Europe, she had the opportunity to practice and meet yogis and acroyogis from all over the world, enriching her practice and teaching style. Her wish is to continue exploring and learning from different disciplines, schools and inspiring humans. All the while, growing as a yoga and acroyoga teacher and movement practitioner. Kate is a Dublin based yoga teacher, teaching vinyasa, yin, hatha and teen yoga.With over 1000hrs training under her belt, she completed her first 200YTT in Chakra Yoga in the Philippines in 2015, then went on to complete her second 200YTT in Hatha Yoga with Arhanta yoga in Khajuraho, India in 2016, she returned to the ashram the next year to assist on their teacher training.Kate took her first Yin training with Arhanta Yoga in their ashram in Arnhem, Holland this same year, then went on to complete her 300YTT in the Elbowroom Dublin in 2017, during which she began her yin training with Josh Summers (shes 100hrs into the 300hr training) In 2018 she went back and took her third 200YTT in Vinyasa in Bali with the Bodhi Yoga Academy, it was here that her passion for Ashtanga was ignited and she began her Mysore practice.She has been inspired by all her incredible teachers along the way especially Susan Church, Sam Vetrano,Irene Pappas, Ram Jain & Omkar Jain and is constantly training and upskilling. Kate teaches a dynamic, creative vinyasa class with ashtanga influences.